#48. 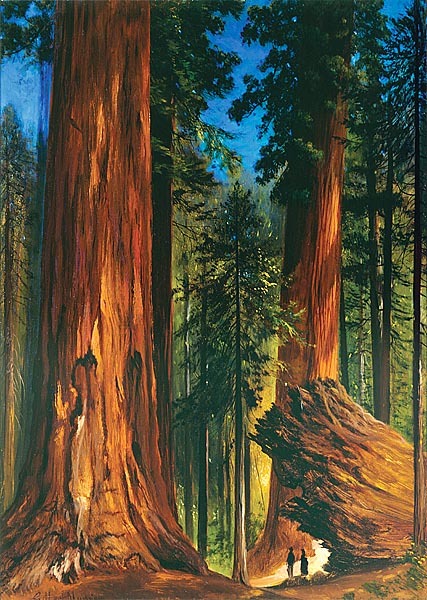 Redwood Forest. 27 x 19.5, oil on cardboard. "Gilbert Munger" lower left. 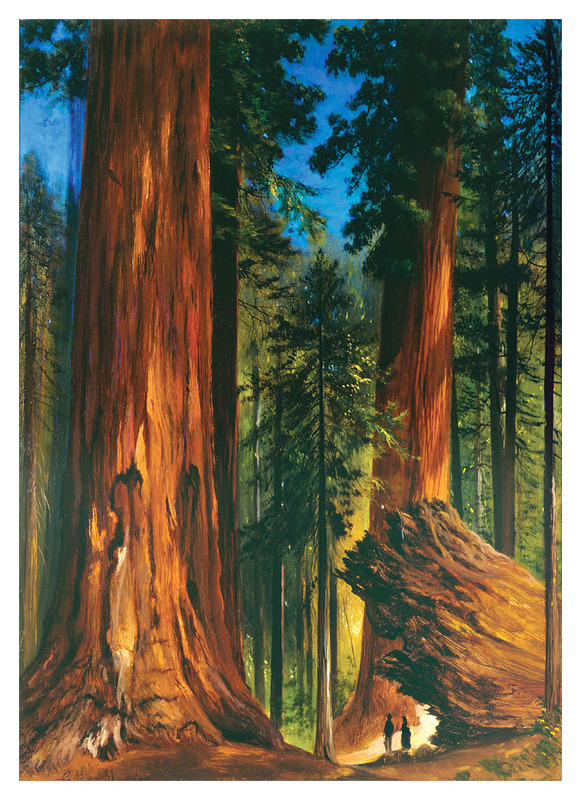 The scene is a grove of Giant Sequoias (not redwoods) near Yosemite. Very similar to painting #209. Sold at Christie's London (King Street) auction of 13 Feb 1970, lot 59, for $227 to the London dealer Frank T. Sabin , who transferred it to Kennedy Galleries, New York, in Mar 1970. See painting #40 for the pre-1970 provenance. In the corporate collection of SBC Communications in Saint Louis starting in the late 1970s until it was deaccessioned in 2011 with the help of Martha Parrish and James Reinish Inc NY. Sold at Heritage Auction Galleries Dallas sale of 3 Nov 2017, #5330, lot 69063, for $16,000 + $4,000 premium. IAP 61022193. QFD 34. See Kennedy Quarterly 10, 1, 1970, p. 9; and Kennedy Quarterly 15, 3, 1977, p. 170. Image from owner's transparency.